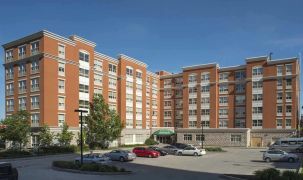 Presentation Manor is set to join the long list of progressive-minded, elegant retirement homes in Scarborough and supersede some of its competitors. Still under construction, this community is putting the right people in place and doing the right things to create a positive, caring environment. One of the unique aspects of Presentation Manor is its attention to the spiritual care of residents. A core belief of the Manor is that every person is an image-bearer of God. Supported by many Catholic organizations, the Manor wants to create an inclusive community inviting to people of all faiths. 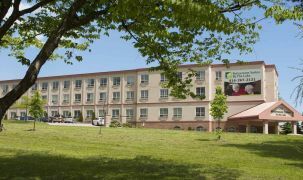 In terms of care, this community offers independent and assisted living. The latter will include daily housekeeping and bed making, bathing assistance and ambulation (if needed), among other services. 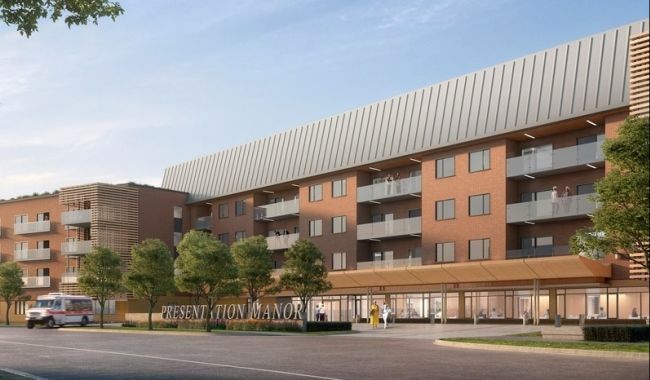 Presentation Manor reminds us of other new buildings that take advantage of the opportunities presented by a fresh start in planning and development. Spacious communal areas and brightly lit interiors are part and parcel of life here, and in the Manor that will be especially evident. Bright sunlight pouring in through that bank of windows will put everyone in a great mood. The progressive approach carries over to the community, where people are encouraged to personalize their suites, pets are allowed, and more. Spiritual welfare is a unique focus of Presentation Manor. You’ll find a Catholic chapel with daily Mass; of course, people of all faith backgrounds are welcome. Residents are encouraged to participate in Mass but more importantly, to take an interest in each other’s personal and spiritual wellbeing. 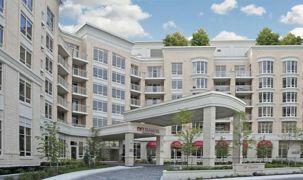 The Manor promises to bring state-of-the-art senior care to the Clairlea/ Birchmount Park area. It’s a great opportunity to find your place in a new community and be an integral part of community-creation. Exercise and personal care amenities include a spa, beauty salon, and swimming pool. Leisure amenities include an in-house pub, with activities like movie nights, bingo, and more on the calendar. New community, reviews coming soon.